An all-new video has popped up on the internetz today which apparently shows the Google Nexus Prime with Android Ice Cream Sandwich running on top. The news comes from Mobilissimo.ro in a post where the blog discusses the video they uploaded themselves. The blurry video shows what is claimed to be the Google Nexus Prime being put through its paces. 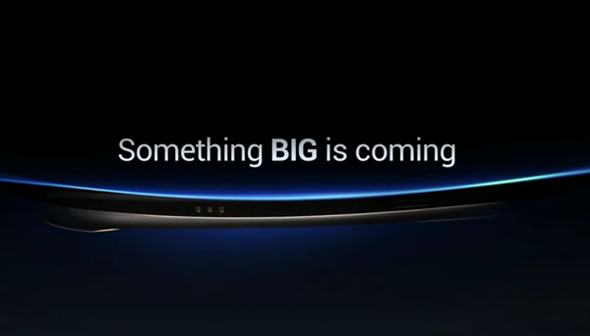 It looks like the real thing to us, as the phone’s design matches with the phone teased in Samsung’s Something BIG Is Coming video. The person handling the phone goes through different pages on the homescreen, the app drawer, widgets drawer, notifications drawer, lockscreen etc. Ice Cream Sandwich (ICS) on this device looks quite delicious with all its eye-candy: the animations and transitions are a sight to behold. 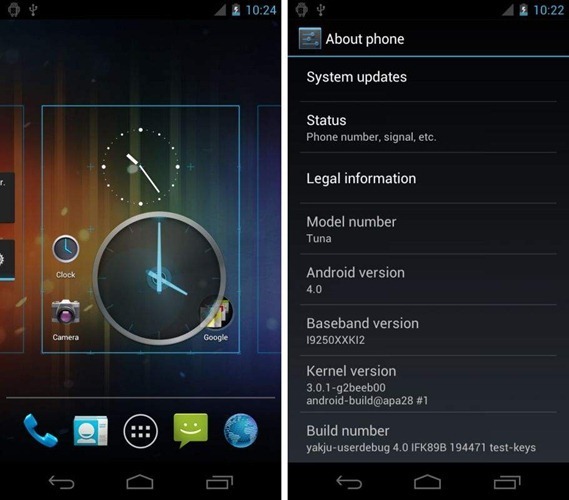 It also looks similar to how ICS looked like on the recently leaked video of Nexus S running Android 4.0. Rumors and reports related to the next Google experience smartphone, which has been called the Droid Prime, Nexus Prime and even Galaxy Prime, started when BGR cited sources with knowledge of Google’s plans claiming that the first Android Ice Cream Sandwich smartphone would release in October to compete with the iPhone 5 (which actually turned out to be iPhone 4S). Subsequent reports suggested that phone would be called Droid Prime instead and be a Verizon-exclusive. Samsung later unwittingly confirmed the Nexus Prime in a C&D letter; the company is all set to announce the phone on their October 11th UNPACKED Event. There are conflicting reports surrounding the Nexus Prime. BGR suggests a TI OMAP dual-core chip clocked at 1.2GHz, a 5 megapixel camera and a 1,750mAh battery whereas GSM Arena claims that the processor will be clocked at 1.5GHz and that there will be an 8 megapixel camera along with a 2050mAh battery. We think it’s best not to get caught in all the rumored specifications drama. Instead, it’s just best to sit back, relax and wait for Samsung/Google to actually announce the phone. In either case, the phone will be based on the next major release of Android named Ice Cream Sandwich (ICS) which will run on all form factors, from small-screened smartphones to tablets – one OS to rule ‘em all.